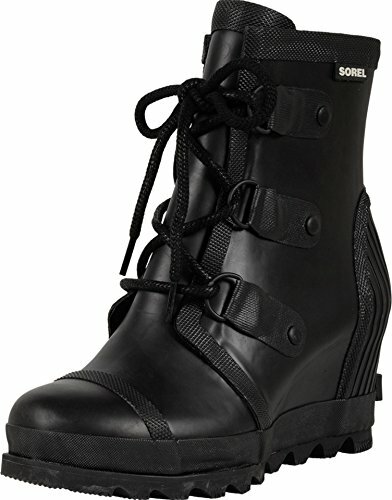 A covered wedge heel adds height to these monochrome Sorel rain booties. Lace-up closure. Bonded mesh lining and padded insole. Textured rubber sole.